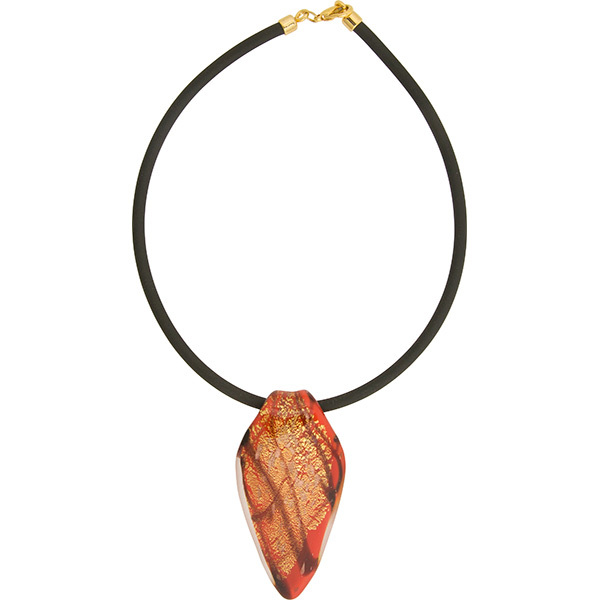 This necklaces features a lampwork pendant in rich red with 24kt gold Foil and swirls of chocolate. This simple design can be worn everywhere. The pendant is approximately 3 1/4 Inches. 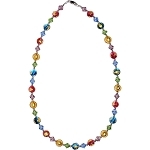 Gold plated findings and clasp accent this Venetian Glass Necklace.